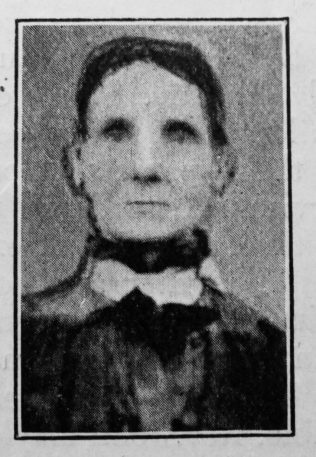 Born at Richmond, Surrey, January 10th, 1836, our sister was from earliest days surrounded by godly influences, her father, Mr. George Burbridge, being then a popular Wesleyan local preacher. When young she surrendered herself to the Saviour, joining the Wesleyan Society at Richmond College Chapel, and having as class leaders men like Revs. Thomas Jackson, Alfred Barrett, and the father of Professor Geden. Removing to Tottenham she and her family joined our church where she became acquainted with Mr. Sheale, and ultimately became his wife. She proved herself a true helpmeet. Their early stations were on the Home Missions, hard to work and poor in financial ability, so that “ways and means” had to be carefully considered, but right nobly did she play her part. She would do anything, go without necessaries even, rather than go into debt. Yet she was ever generous to “the cause,” and when superannuation came with its restricted means she said in relation to the cutting down process, “We will not begin with our contributions to the Lord’s cause.” Gladly she rendered in full the share she considered due. How much depends upon the mother in the home of a Methodist minister. The father’s frequent absence in the evening when the children are at home requires the mother to be both father and mother to them. Nobly did Mrs. Sheale do her part, and all her children are doing well and trying to serve their parents’ God. And what splendid service she rendered to the church at the same time, in spite of engrossing family cares. The writer as a colleague of Mr. Sheale thirty years ago remembers all this well and can write from personal knowledge. To quote from all the letters before me were impossible. Rev. John Mayles writes: “To say that I highly esteemed Mrs. Sheale would be too mild a way of expressing my admiration of her. To an unusual degree she fulfilled the wise man’s ideal of a virtuous woman. During the four years we were together her conduct both in the church and the home often provoked my admiration.” She was devout and regular in her attendance at the means of grace. Our sister was an attractive personality – intelligent, bright, well read, quick of discernment and with a vein of humour in her composition. She came of a bright and socially well connected family, and her brother, Rev. C. Burbridge, was a successful Wesleyan minister. Her mental faculties remained unimpaired to the end, and among the last books she read was Dr. Parker’s “Inner Life of Christ.” Latterly she gave herself much to private prayer. We sorrow, but our sorrow is tempered with hope. We shall meet beyond the river. Louisa was baptised on 5 June 1836 at St Mary, Mortlake. her parents were George, a carpenter, and Marianne (Mary). Louisa married Joseph Sheale (1835-1914) on 17 March 1870 at Edmonton, Middlesex. Census returns identify eight children.